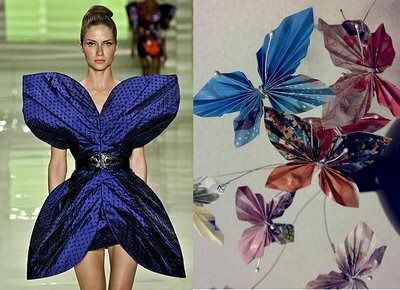 Today, its hard to escape the influence from Japan in every facet of life. From the cartoons kids (and adults) watch on TV, to the cars many of us are driving, Japan is everywhere. 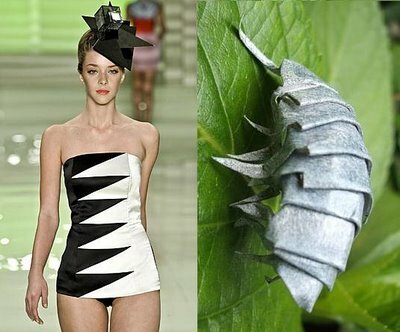 Fashion designer, AndrÃ© Lima, has used another concept from Japan in his new Spring 2009 collection. 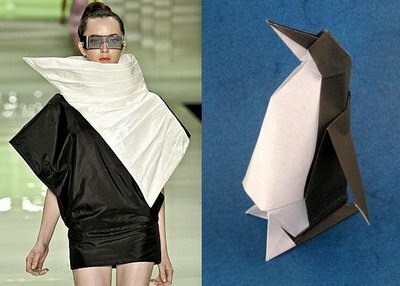 If looking at the models wearing his designs makes you want to find a piece of square paper to fold, don’t be alarmed. 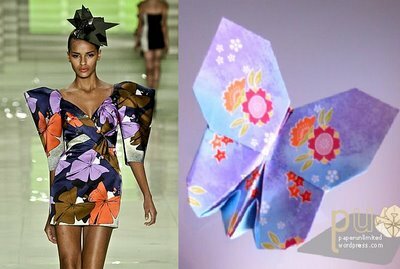 His collection was inspired by the Japanese art of origami. 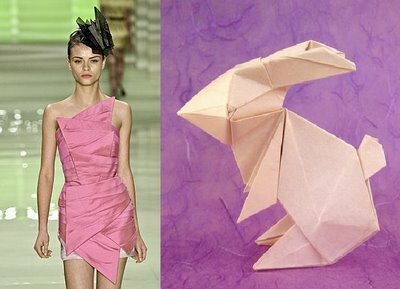 Check out more of AndrÃ© Lima’s collection at Trend de la Creme.